The thing about Indian silver is that for a country with next to no silver mines, India has a rich tradition of silver jewellery and coinage. Stockpiled purely through trade, a cursory glance at any given populace would reveal the presence of silver in the everyday. Silver has culturally been the means of adornment among the numberless rural communities, wherein an array of techniques have been developed to fashion this moon-like metal. 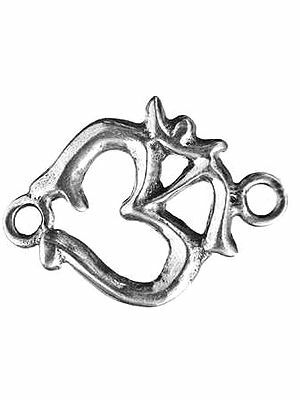 The Sanskrit word for silver, chandi, has the same root as chandra, the Sanskrit word for moon. Whereas gold is considered to exude warmth like the sun, chandi or silver is believed to have a cooling effect on the aura of the wearer and indeed on the onlookers. Today, silver jewellery is donned by women of all castes and communities, having evolved to feature considerable diversity in terms of make and finish. In this section we have put together a vast collection of silver jewellery depicting a range of moods of fashion. Handpicked from among the produce of local silversmiths who have been fashioning the metal since generations ago, each of these peices is an epitome of great beauty and perfection. From danglers and drop earrings and studs to necklaces, rings, and bracelets, these sterling silver numbers come embellished with a variety of beauteous gems. Milky moonstones aplenty, some of these are gilded with gold, especially the temple jewellery brought from the South. Zoom in on the body of the jewellery, and take in the beauty and intricacy of the engraving and embossing on the silver body. Find enchanting Hindu Jewelry like Earrings & Necklaces. Our collection at ExoticIndia includes Navratna Rings, Om Pendants, Rudraksha Malas & more. Shop for beautiful Indian Stone Jewelry studded with Pearl, Amber, Amethyst, Garnet & more at ExoticIndia – your one stop shop for Indian Jewelry.